The ultra contemporary Catina Counter Stool features a wonderful mixture of stylish accents and functional components that combine to create a stool that will look great and last for years. 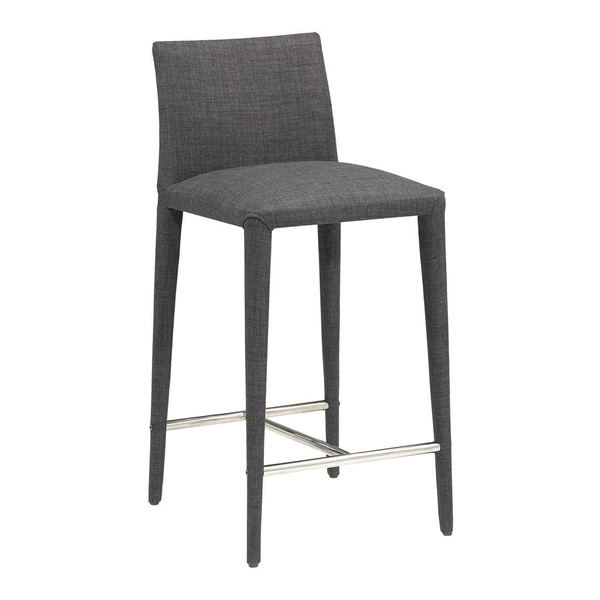 The stool is completely covered in a 100% polyester fabric that gives it a distinct look and feel. Underneath the fabric, a metal frame gives this stool exceptional stability that is strengthened by a polished stainless steel crossbar. Tapered legs round out the stylish Catina Counter Stool for a look that will impress no matter what year it is.